Anxiety disorders are among the most common mental health problems in youth, and faulty interpretation bias has been positively linked to anxiety severity, even within anxiety-disordered youth. Quick, reliable assessment of interpretation bias may be useful in identifying youth with certain types of anxiety or assessing changes on cognitive bias during intervention. This study examined the factor structure, reliability, and validity of the Self-report of Ambiguous Social Situations for Youth (SASSY) scale, a self-report measure developed to assess interpretation bias in youth. Participants (N = 488, age 7–17) met diagnostic criteria for social phobia, generalized anxiety disorder, and/or separation anxiety disorder. An exploratory factor analysis was performed on baseline data from youth participating in a large randomized clinical trial. Exploratory factor analysis yielded two factors (accusation/blame, social rejection). The SASSY full scale and social rejection factor demonstrated adequate internal consistency, convergent validity with social anxiety, and discriminant validity as evidenced by non-significant correlations with measures of non-social anxiety. Further, the SASSY social rejection factor accurately distinguished children and adolescents with social phobia from those with other anxiety disorders, supporting its criterion validity, and revealed sensitivity to changes with treatment. Given the relevance to youth with social phobia, pre- and post-intervention data were examined for youth social phobia to test sensitivity to treatment effects; results suggested that SASSY scores reduced for treatment responders. Findings suggest the potential utility of the SASSY social rejection factor as a quick, reliable, and efficient way of assessing interpretation bias in anxious youth, particularly as related to social concerns, in research and clinical settings. A correction to this article is available online at https://doi.org/10.1007/s10566-018-9466-x. This research was supported by funding by the National Institute of Mental Health (U01MH064089 to Dr. Walkup; U01MH64092 to Dr. Albano; U01MH64003 to Dr. Birmaher; U01MH63747 to Dr. Kendall, U01MH64088 to Dr. Piacentini; U01MH064003 to Dr. Compton, T32MH073517 to support Dr. Gonzalez, and T32MH017140 to support Dr. Rozenman) from the National Institute of Mental Health. Views expressed within this article represent those of the authors and are not intended to represent the position of NIMH, NIH, or DHHS. All procedures performed in this study involving human participants were in accordance with the ethical standards of the institutional research committee and with the 1964 Helsinki declaration and it later amendments or comparable ethical standards. Informed consent (adults/legal caregivers) and assent (youth) were obtained from all individual participants included in the study. You notice at school one day that a favorite book of yours is missing. Later you notice a boy/girl in your class has a similar book in their bag. What do you think is most likely to have happened to your book? You see the School Principal walking around the playground and s/he has been asking other children where you are. Why do you think the Principal is most likely looking for you? You arrange to have a party at 4:00 pm and by 4:30 pm no one has arrived. What do you think is most likely to have happened? You are showing your school project in front of the class and two students in the back are giggling. What is the reason that they are giggling? You are sleeping over at a friend’s place and his/her parents seem to be really annoyed and cranky all the time. What is the most likely reason that your friend’s parents are annoyed and cranky all the time? You see a group of students from another class playing a great game. You walk over and want to join in and you hear them laughing. Which of the following do you think is most likely to happen next? Compton, S. N., Walkup, J. T., Albano, A. M., Piacentini, J. C., Birmaher, B., et al. (2010). 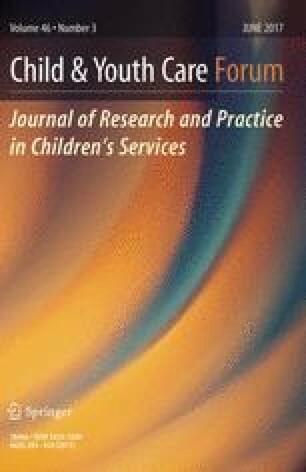 Child/adolescent anxiety multimodal study (CAMS): Rationale, design, and methods. Child and Adolescent Psychiatry and Mental Health, 4, 1. http://www.capmh.com/content/4/1/1. Costello, A. B., & Osborne, J. W. (2005). Best practices in exploratory factor analysis: Four recommendations for getting the most from your analysis. Practical Assessment Research and Evaluation, 10(7). http://pareonline.net/getvn.asp?v=10&n=7.